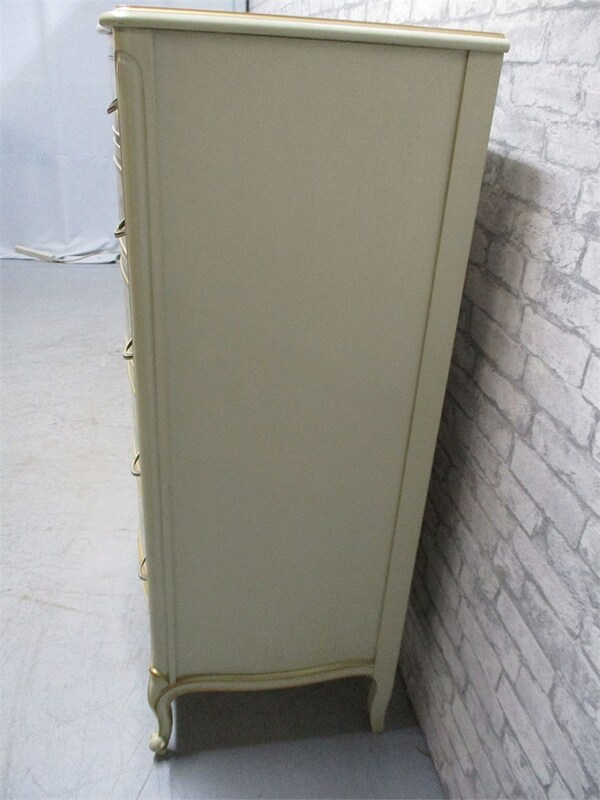 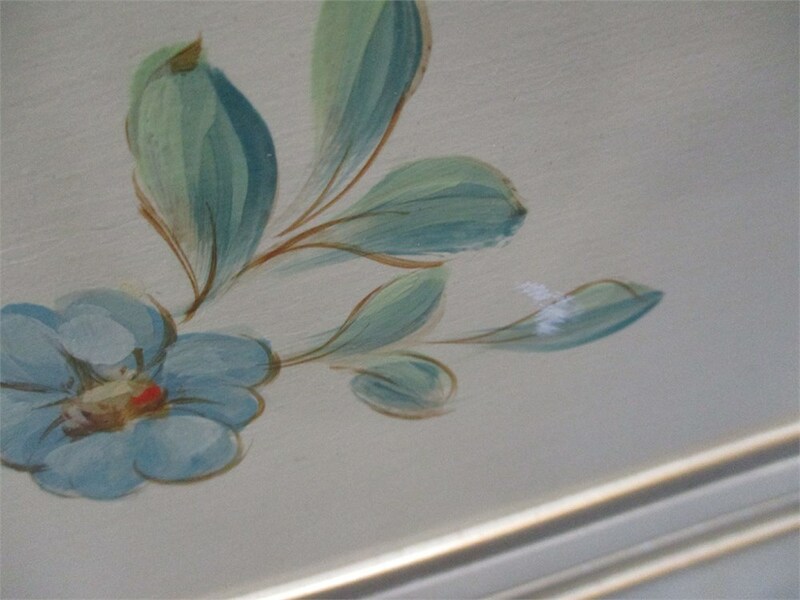 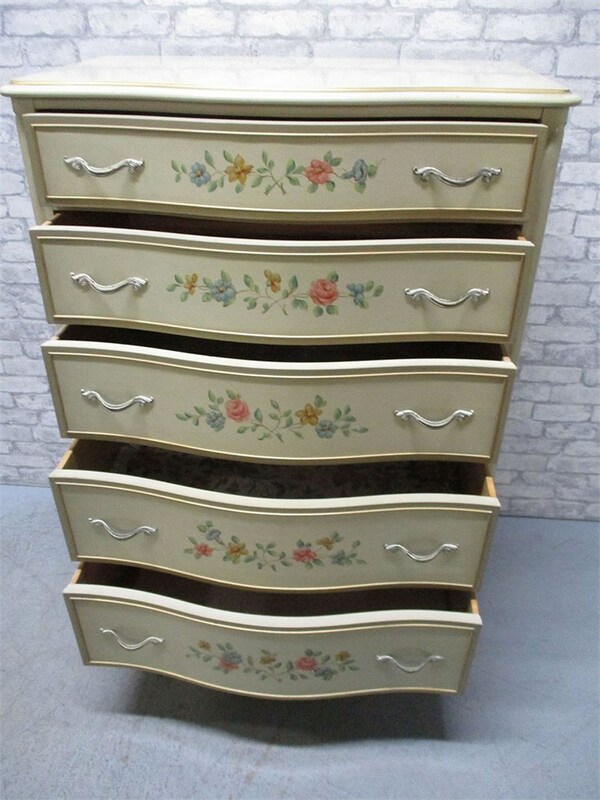 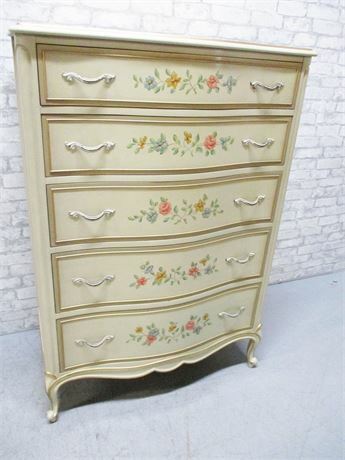 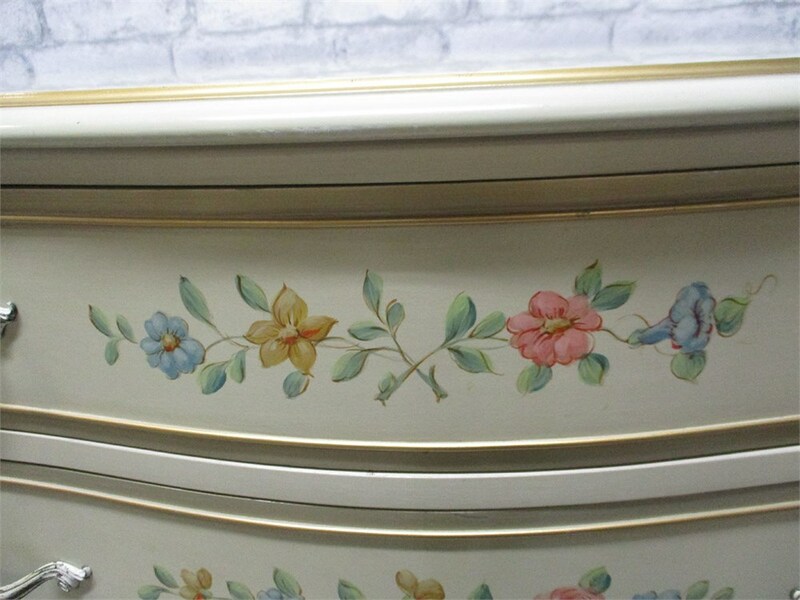 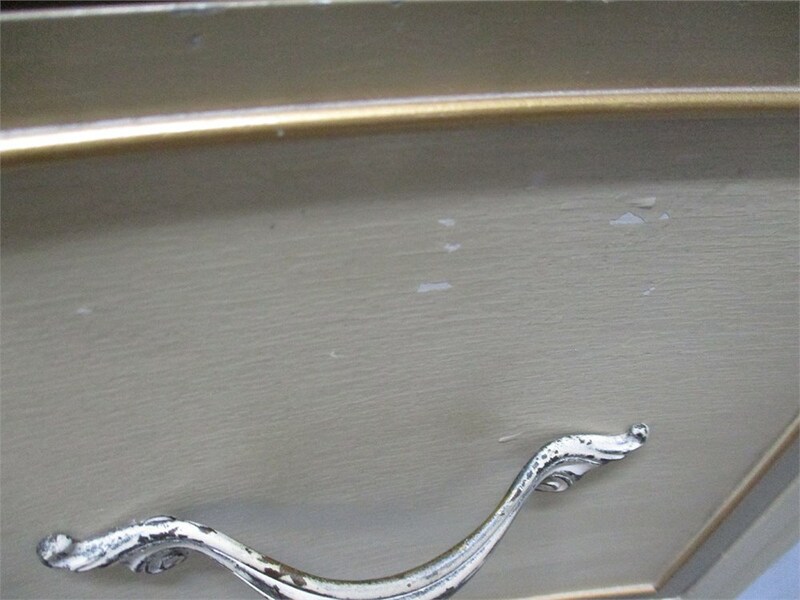 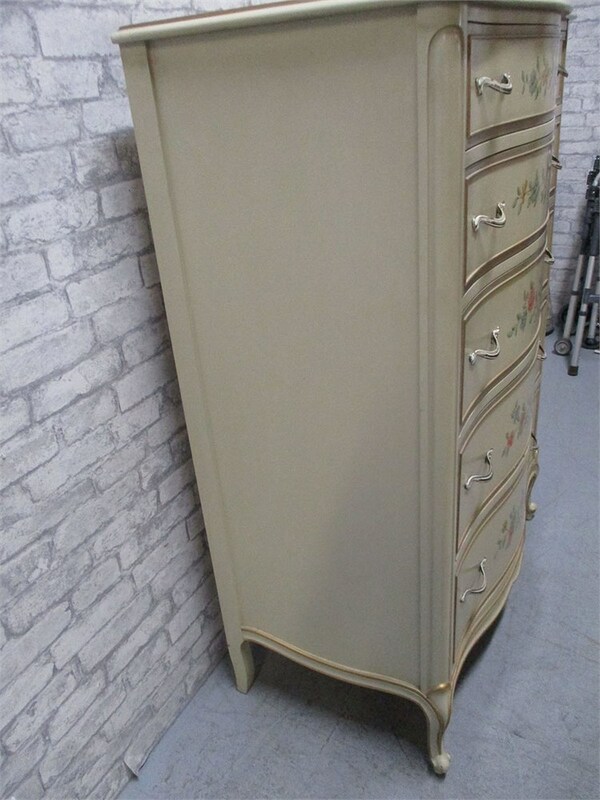 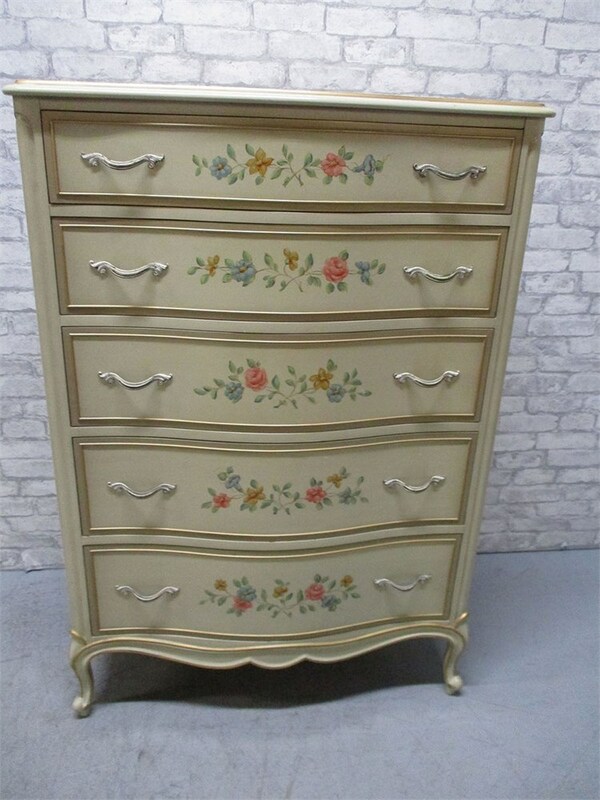 This beautiful serpentine dresser with floral accents is lovely! 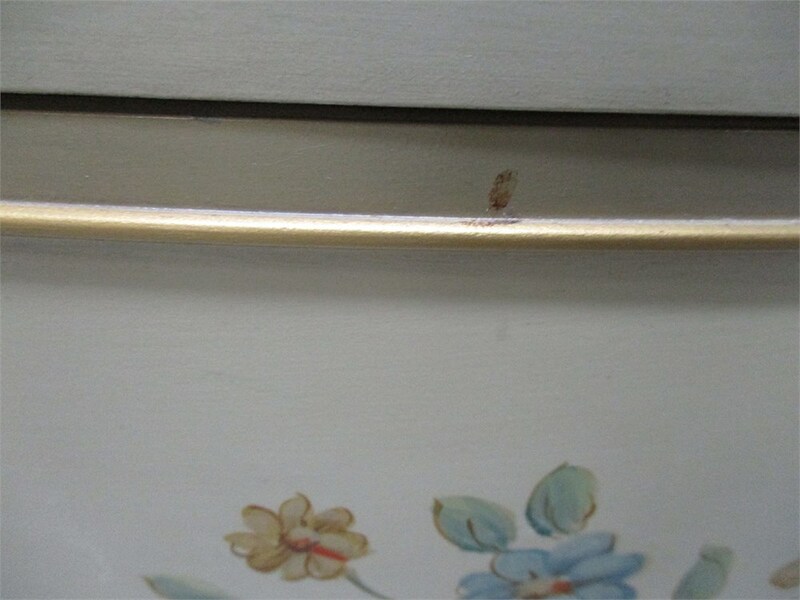 The drawer depths (from top) are: 4.5", 5.5", 6.5", 7", 8". 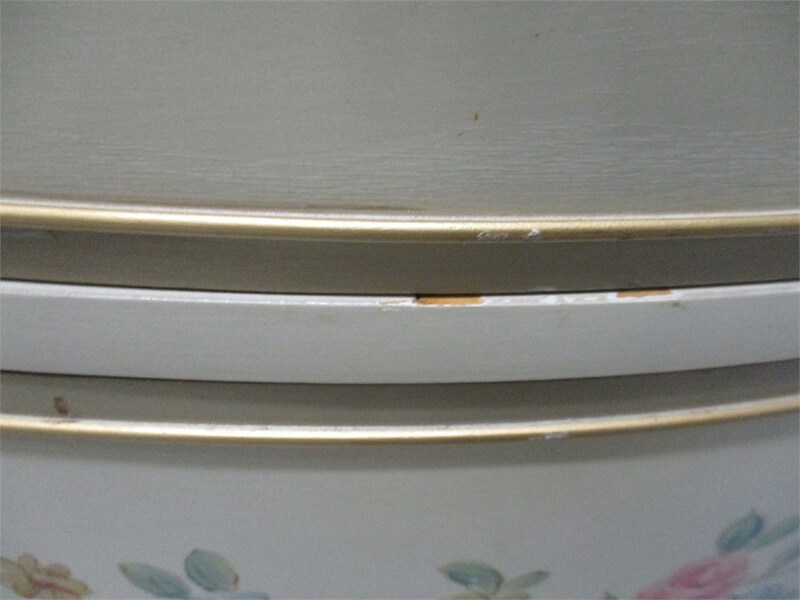 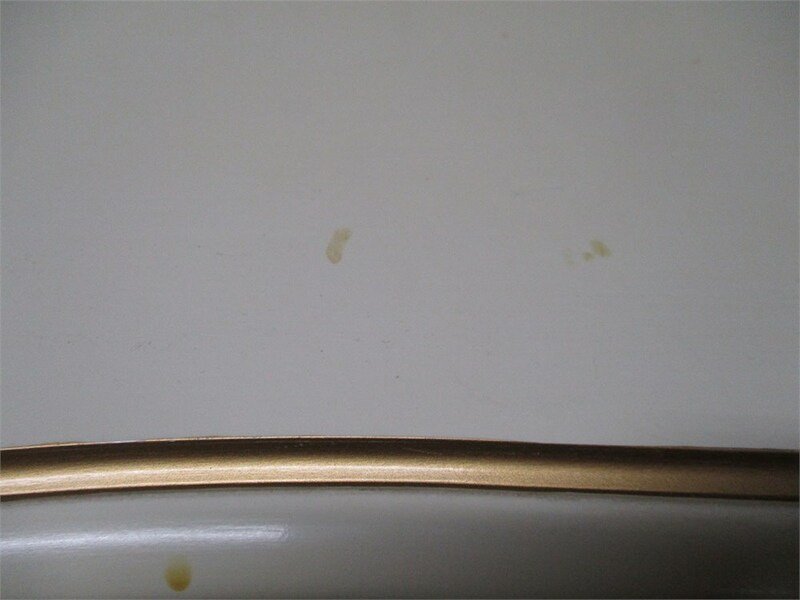 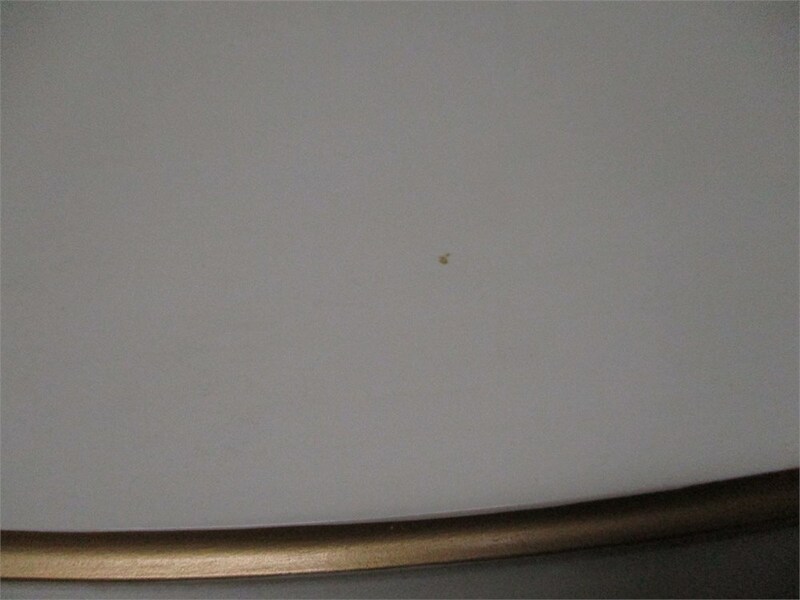 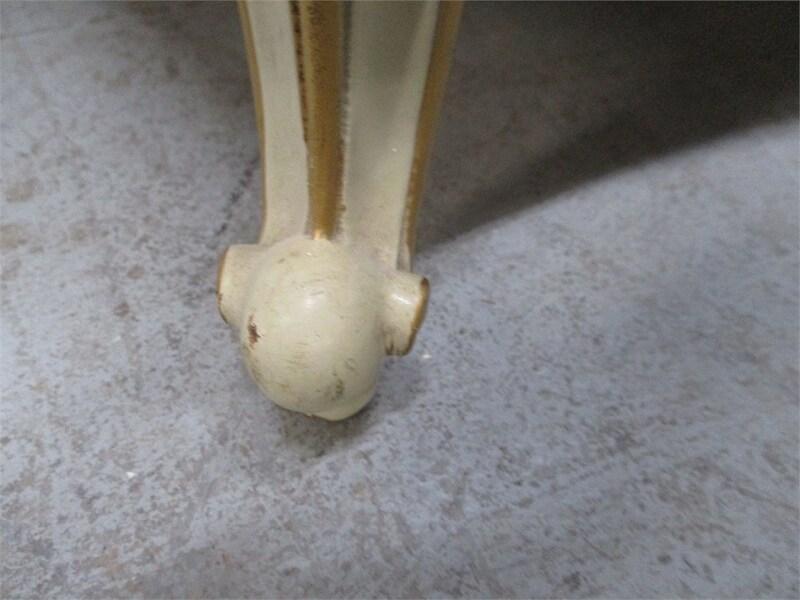 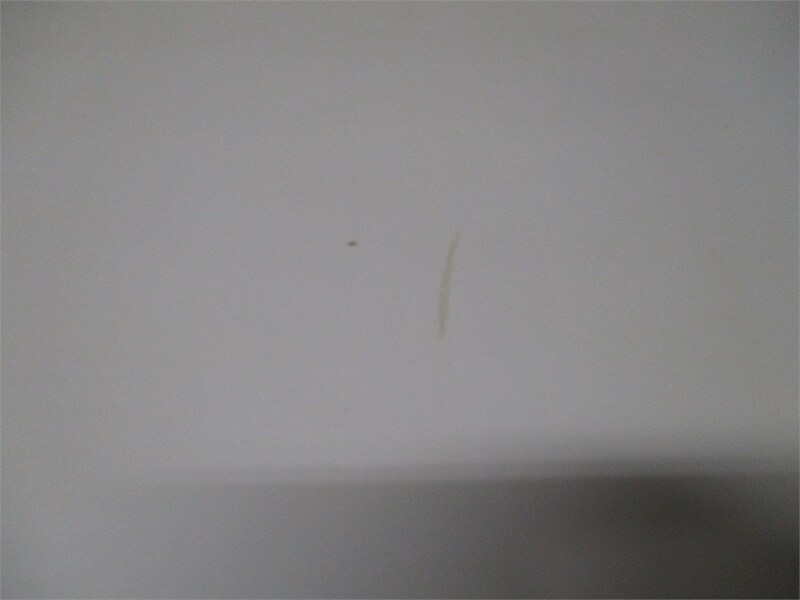 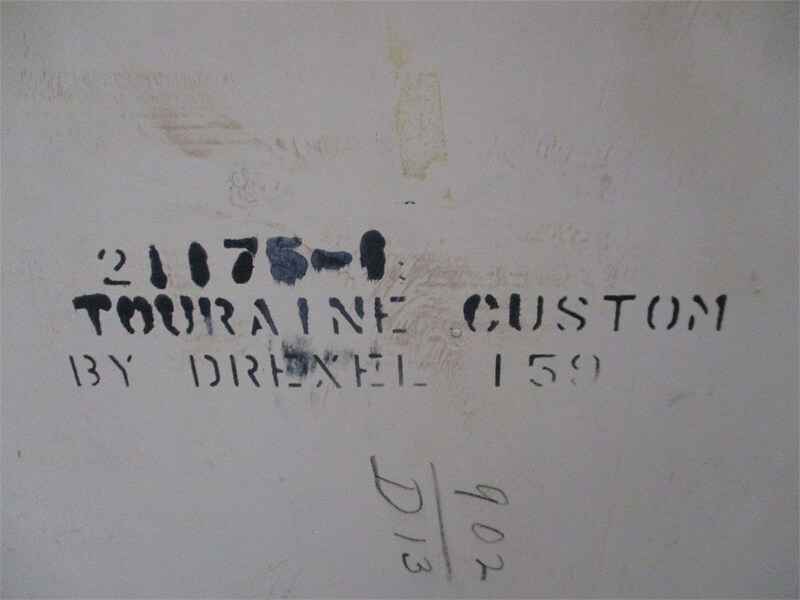 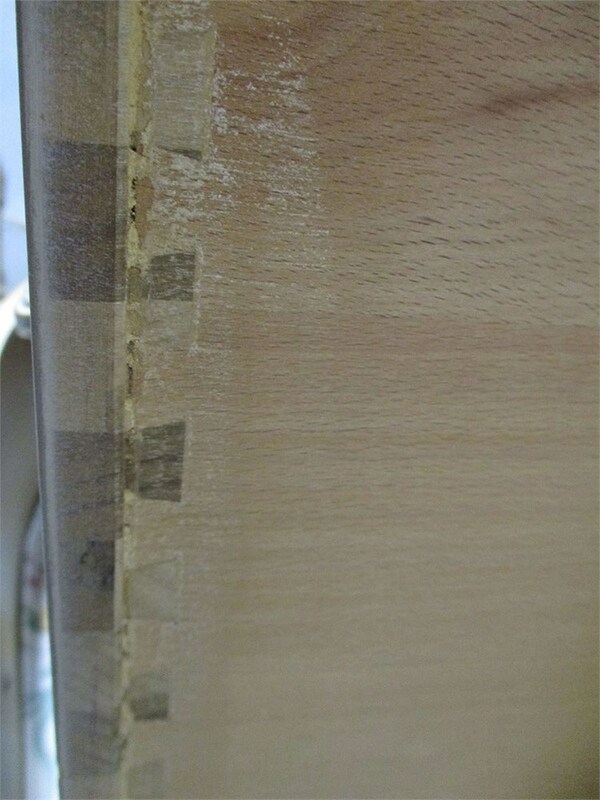 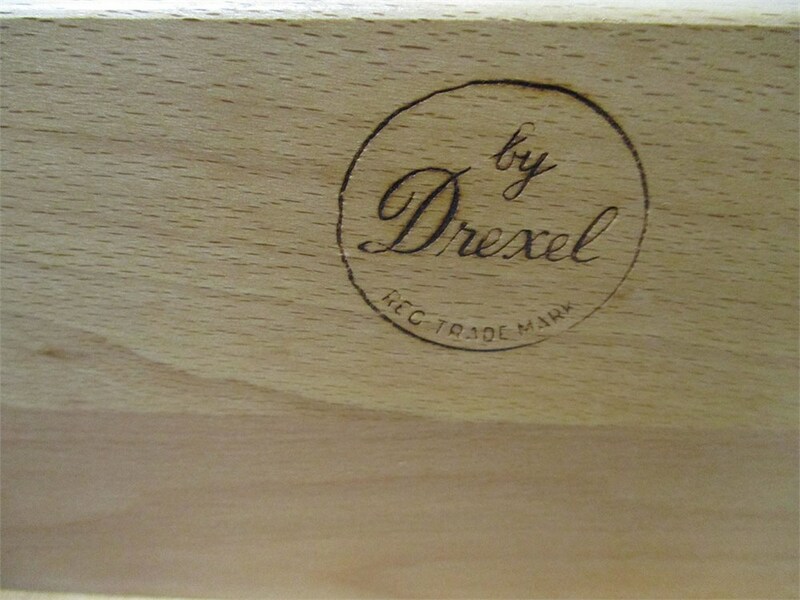 This shows some marks on top, with remaining wear appropriate for age and use.